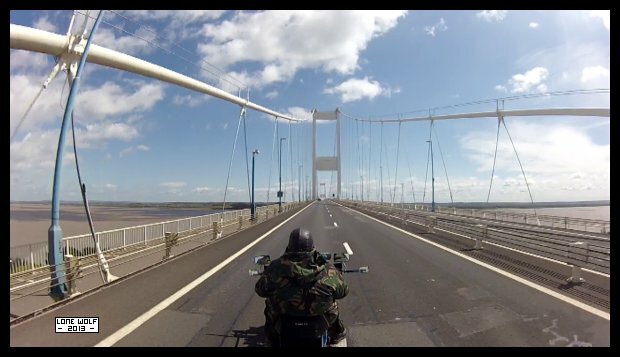 Across the Severn Bridge and on to Porlock. Monday saw me taking the top end off the B31, and sure enough the inlet valve spring had broken. Nothing that a few quid spent over at Vale-Onslow's couldn't put right. Wednesday saw the B31 out on a 127 mile test run along with a few of the lads from the Enfield Owners Forum. We ended up at Wetton Mill . . . for a cuppa and a slice of cake. Saturday saw DOT and the Dog Kennel heading for Porlock. The headwind on the way down was horrendous - I ended up losing a bit of ATF from the gearbox. Sunday was spent touring around the Somerset countryside. The one thing that really spoiled the holiday for me was not being able to walk as far as the Ship Inn. Riding up to the pub kind of defeats the object of being able to have a drink.